My neighborhood has been having a rough time. Several people who we love have recently passed away. It seems that in times of tragedy and death I find myself contemplating big questions: the importance and shortness of life, why life seems to be so hard, the value of a person’s presence, just to name a few. One of the questions that immediately comes up for me is – when it’s the headstone on my grave, what will the epitaph say? I don’t want it to say, “Mom was bossy” “everything had to be perfect” or maybe even “she liked shoes”. I want to live a life summed up with “Brigit was loving and kind”. As I watch my neighbors drop everything to attend to the needs of those grieving, I am humbled as I realize I am watching the actions of love and genuine kindness. These are people who give without any thought of getting something in return. Amazingly, though, they do get something back, for kindness soothes the weary soul and brightens the heart of both the giver and the recipient. Being kind softens and strengthens us all. We all remember times when someone extended a tender mercy and the warmth and love that resulted, and feel grateful appreciation for kindness as the world around us becomes more crass and unfeeling. I remember a time in my youth when a tender mercy was extended to me: I accidently broke a school window while practicing my tennis swing when I was about 8 years old. No one saw me do it, and I went home in a panic wondering what to do. I didn’t tell anyone, but my wise parents could tell something was wrong. They asked me what happened, and I confessed through guilty sobs. They told me I had to do the right thing – I had to go speak with Mr. Marchant, the principal, and make it right. I was scared to death, but I did it. I went to the office the next school day, expecting the worst – maybe jail - and confessed my sin. Mr Marchant listened compassionately, and said, “I think if you could give us $2 we can replace that window”. I couldn’t believe it – that window cost only $2.00?? It was the biggest relief of my young life. It wasn’t until much later that I realized that the $2 was for my benefit. It was so I could feel good about my effort of restitution. I will always remember that kindness. Sometimes being kind comes naturally, and other times it’s an effort. It’s easy to serve a sweet person we love, but what about those who challenge us? Some can be hard to love, and often resist our attempts to be kind. A certain Facebook post recently caught my eye: “Hurt people hurt people”. A short and simple phrase that speaks volumes. Every person we encounter is dealing with something hard, something we can’t see. Being aware of that can help us feel a sense of compassion for those with whom we struggle. Genuine kindness comes from the heart, and is able to put judgments aside, connecting hearts together. I remember a song from childhood, “Kindness Begins with Me”. Could you imagine what our community would be like if everyone lived by the simple words of this song? Love and genuine kindness, sprinkled with a healthy dose of patience, can bring down walls of isolation and soften the hardest of hearts. My neighbors and I are healing, and in large part it’s because of the love and tenderness that is being extended. People we love have left us, and while we will always feel their absence, we remember that those who are left behind are in need of compassionate service and love. We also see that each of us need each other. Life is short. Leave people better than when you found them. Love your friends and family members as they are, while gently encouraging them to be their best version of themselves. Everyone, including you, will benefit in ways that can’t be measured, and that is the wonderful magic of kindness. 1. Public places can be overwhelming. Because these people pick up the energy around them, places like shopping malls, grocery stores, and stadiums can be highly agitating. 2. Others want to offload their problems on them. Because their presence is so welcoming, people feel safe unloading around them. This is where empaths feel like they are a dumping ground for others. 3. Highly intuitive. These individuals experience the world through their intuition, so it’s important for them to listen to their gut feelings about people. They will also just “know” things – things that they logically shouldn’t know, but just do. 4. Addictive personality. Sadly, empaths who don’t understand their gift will be drawn to alcohol, drugs, or any myriad of addictions, in a futile attempt to “protect” themselves from the onslaught of emotions that they feel from others. 5. Weight issues. Empaths are prone to carrying extra weight, no matter how much they exercise or how much they diet. It’s another means to protect their own energy – in this case by subconsciously “cushioning” themselves from the “blows” coming at them. 6. The need for solitude. This can sometimes be insatiable, as these sensitive souls need much time alone in order to get a feel for their own energy. It’s also how they unwind and recharge. Remember that crowds are draining to them, and if they don’t take care to take time out, burnout and fatigue will result. 7. Love of nature. Empaths love and need to be outdoors, as the slower rhythyms of nature are soothing and healing to the anxious soul. This is a must for them. 8. Excellent listeners. They don’t talk a lot about themselves, unless it is to someone they really trust. They are more apt to listen, which is a healing trait in and of itself to those around them. 9. Moody. They can appear shy, aloof, and experience mood swings. If they’ve taken on too much from others they can even be anti-social and miserable. They will have a hard time disguising this, and this is especially hard if they have a job where they must put on a happy face. Empaths can’t cover up what they feel. 10. Minimalist. Empaths like their space clutter-free, and can have a hard time concentrating or relaxing amidst clutter. These really are just a few traits, as empaths also tend to avoid antiques, meat, and many other things that carry another’s energy. If you realize while reading this that the above is describing you, probably the hardest thing you’ve had to deal with is that you think all these things you feel are you, and all the negative feelings within are yours. They aren’t. This is where you can take heart, as you can take a deep breath and let all these things go. Put them down, they are not yours. Now that you know this, you can use this gift as it was intended – as a healing gift to others. It’s happening without your ever knowing it. Your very presence is healing to those around you, which is an empowering truth for you. If you feel that you are en empath, know that all the above doesn’t have to define you. By knowing this is a gift, you can stop the negativity you’ve been experiencing, and enjoy it for the good it does. Some helpful habits to implement into your daily life: time alone, meditation, a creative outlet (art, dance, crafts, projects, etc), being outdoors, and a special someone to whom you can express yourself freely. Also, find a place where you can use your nurturing gift: teaching, volunteering at a shelter, working with animals or mentoring children or teens. An empath’s true calling no matter what their chosen profession is to heal those who are hurting. And just your being aware of this is healing to you as well. Just make sure any time you are feeling overwhelmed that you mentally set everyone down. This will help you regain your own sense of self and establish the boundary of not carrying everyone’s stuff. One final note: being an empath and being empathetic are two different things. An empathetic person relates to another because they themselves have felt similar emotions from a similar situation. The empath unintentionally takes on the emotions of another. The more an empath understands and works with this gift, the more pronounced it becomes, even to the point of perceiving others’ thoughts. But one does not become an empath – one either is or isn’t. If you are reading this and sure you are NOT an empath, you may recognize some of these traits in a loved one or a dear friend. This awareness can help you support them with their gift, and they will love you for it. Now that I’ve been reminded of what I need, I’m going to go take a walk. By myself. What is this year going to bring, and how much of it is within your control? If you are living in a victim mentality probably not much! If this is the case your life probably feels like a medley of sad country songs – “A Good Run of Bad Luck”, “There Goes my Life”, “Someone Else’s Star”, “There’s a Tear in my Beer”… Oh, I could go on, but you’re probably already mildly depressed by now. Time to buck up little partner – right now is a new beginning and we’ve got work to do. I Googled victim mentality, and Wikipedia actually had an accurate definition: “Victim mentality is an acquired (learned) personality trait in which a person tends to regard themselves as a victim of the negative actions of others, and to behave as if this were the case even in the lack of clear evidence of such circumstances. 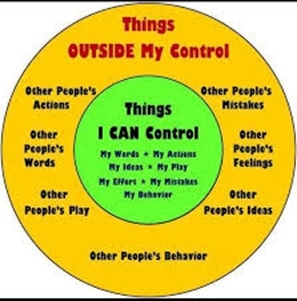 Victim mentality depends on habitual thought processes and attribution.” I like how it says “acquired/learned” – that means you can “unlearn” it, and liberate yourself by adopting thought and behavior patterns that empower instead. How do you know you are engaging in victimhood, and why would you even want to be? Let’s answer the why first. Generally, people engage in victim mentality because they get something out of it. They get attention, validation, and sympathy. A person who becomes expert at being the victim is also able to easily manipulate others, as people tend to acquiesce to the needs of the so-called powerless. This behavior results in the endless cycle of‘Poor me’, followed by another’s response of ‘Oh no, bless your heart, how can I fix it for you?’ In a word: Drama. · You exercise repeat thoughts of negativity in every facet of life. · Ask. If you need to enlist the help of others, ask only of those who are in a position to help you, and ask in the spirit of knowing the issues will be resolved. · Exercise your spirit. Faith, Gratitude, and Prayer (in whatever ways these look like to you) bring unseen forces for good that lift and enable you do to things you think you can’t. · Change your perception. Make a list of things that are bothering you. Write these things out in detail. When you are finished, go back and address these things with Truth. In other words, take a step back and look at the situation without the emotion. Now that you can see it differently, you can see that the problem is smaller than you are. You are in charge of your actions. We all can feel sorry for ourselves, and none of us are immune from falling into the easy trap of victimhood every now and then. Only a perfect person can refrain from falling prey to the enticings of self-martyrdom all the time, and since no one is perfect, each of us will stumble at times. That’s OK. The next time you feel like you’re ready to sing the blues, try this -- set a timer for 6 minutes and privately have yourself a fantastic pity party. Throw yourself on the floor if you need to, and kick, yell, and pound until you’re tired (just don’t hurt yourself or others). Then pick yourself up and change your tune. You don’t need to play your country song backward, just find one that’s upbeat. Start the New Year with “Life’s a Dance”, “It’s a Great Day to be Alive”, or “I Like It, I Love It”. Pair these great songs with the positive reinforcements of the above exercises and soon you’ll be whistling Dixie. I took my first algebra class in 7th grade. I had felt pretty smart in my schooling up to that point, and had always excelled at math. But for some reason, the new language of numbers and symbols together really threw me. I was attentive in class, took notes, and genuinely tried to learn the new concept, but it wouldn’t take hold in my mind. It didn’t help that I was somewhat timid at that age, and refrained from asking questions in class. One particularly challenging day at home with my math assignment, I became so frustrated that I picked up my book and threw it across the room as hard as I could. I left my room in tears and went to the kitchen for some water, a snack, and a much-needed break. About twenty minutes later, I returned to my book (luckily it was still intact) with its accompanying assignment (I think it was still wet with tears), and something completely magical happened – it clicked! I understood the formula, it all made sense, and I got the assignment finished! My memory is just a little hazy, but I’m pretty sure there was a chorus of angels singing Hallelujah! in the background. Either way, from that moment on, math became my favorite subject. With a new school year upon us, now is the perfect time to evaluate how we spend our time learning, working, studying, and productively resting. There is so much to do in a day, and with the modern addition of social media and smart phones to our already busy lives, it is essential to balance these activities with downtime. I recently read a self-improvement book that said one should even take breaks from reading. I had a hard time with that one until I acknowledged that I easily get lost in a good book for days at a time. Many things demand our attention, some important, some not. If you are trying hard to learn something new, work at it for a while then step away -- maybe take a short walk. If you find yourself troubled or discouraged, it might be a great time to stop watching the news or spending time on Facebook (or both) for a week (or forever). If you are in the middle of planning a wedding and you want to cry, go cry and then get out a puzzle. And have some ice cream. My 7th grade experience taught me something more important than algebra – it taught me the value and importance of taking a break. That lesson has stayed with me, and as an adult I am glad to say that I work hard, but I also allow myself to walk away from things for a temporary time-out. I’m able to stay productive, and my brain gets the chance to relax and rejuvenate. Plus, it’s really great for everyone around me because I don’t throw things. Which occurs to me, I’ve been working really hard at this article – I think I’ll go take a break. But you’ve been reading – you’ve had your break. You should probably get back to work. What would you be doing if you knew you couldn’t fail? This profound and thought-provoking question was recently asked me by my dear friend Stephanie. So what would you do this year if you knew you would succeed no matter what? Imagine all the possibilities: would you invent a new life-saving procedure? Apply for that executive position you’ve been wanting? Create and publish – a song, a novel, a play? Really, the prospects are limitless. But in order to fully understand success, we must first look at failure. What really is failure? We all have different definitions of failure, simply because we have different values and life experiences. A failure to one person might simply be a great learning experience for someone else. History is filled with great people who “failed” many times before they met with phenomenal success. One such person in our recent history is Walt Disney, one of the most creative geniuses of the 20th century. I have a favorite quote by him that I keep where I can see it often: “It’s kinda fun to do the impossible.” In his earlier years, Disney was once fired from a newspaper because he was told he lacked creativity. Trying to persevere, he formed his first animation company, calling it Laugh-O-Gram Films. He managed to raise $15,000 for the company but eventually was forced to close it down. Desperate and out of money, Disney found his way to Hollywood and faced even more criticism and failure until finally, his first few classic films started to skyrocket in popularity. I would suggest we look at failure as mere obstacles, and obstacles are there to be overcome. With everything that doesn’t work out, we have learned something valuable. With that mindset, I would submit that the only way to truly fail is to never get off the couch and try. So as long as we are trying, we are learning – we are succeeding. Be proactive. Life doesn’t just “happen”. You create it, whether you realize that or not, so take responsibility for your life, your choices. Begin with the end in mind. All things are created twice – once in the mind, and then in the physical realm. This requires imagination, and also honesty – are you really who you want to be? Are you doing what you really want to do? If no to these questions, then you have some soul-searching to do. Create your own destiny and secure the future you envision. Put first things first. Pretty self -explanatory, but easier said than done. Spend some time prioritizing things in your life. You’ll know when you get it right – good things will start happening. Think win-win. Basically, it’s the attitude of seeing things as cooperative, not competitive. I love this one, and I’ll write a future article on this alone. To me, it’s all about living in abundance – no comparing, but knowing that success is one of those things that is enough to go around. Seek first to understand, then to be understood. We see life through our own eyes, but when we can see it from another’s perspective, we can see a bigger, more complete picture. Now we are better able to make successful choices. Synergize. Who can help you with your goals? Let other people assist you – people who are expert at what they do. Sharpen the saw. You are your own greatest asset. Therefore it is imperative that you take care of you. Renew yourself often. When looking at the New Year through the lenses of Success, what are we going to do differently? You were not put on this earth to hide – you were put here to succeed. Now go do the impossible, and have fun. I've been on a constant diet for the last two decades. I've lost a total of 789 pounds. By all accounts, I should be hanging from a charm bracelet. Erma Bombeck What if someone told you that the key to weight loss was in your thoughts and emotions, not so much your diet. You would probably think they were crazy. Well, call me crazy I guess, because that’s exactly what I’m telling you. Society has taught us that losing weight is all about willpower and counting calories. So when somebody cheats on their diet, they are lacking self -control. This always ends with the person feeling guilty and disgusted, with the end result being weight gain instead of loss. This also furthers a person’s tendency toward self-loathing, which is the opposite of the self -love and acceptance that is needed. When I work with a client, I help find and release blocks that they are carrying around subconsciously. Many times these blocks are a hindrance to their weight loss goals. For example, if a person is holding onto feelings of their weight being a protection, then they will sabotage any diet they try. They won’t have a clue why they are doing it, and will chalk it up to a lack of willpower. They will then go from one diet to another, thinking that they will some day find the right one for them. This frustrating cycle will repeat itself unless they come to the realization that there is something hidden within themselves that is keeping success at bay. I have personally experienced this awful cycle myself, and have learned the importance of self -love, and its role in losing weight. Thoughts affect our behaviors. These thoughts are provoked by emotions, which have a powerful impact on the choices we make. So if we are carrying the negative emotions of rejection, humiliation, or abandonment, we will tend to eat accordingly: stuffing ourselves until we are ill, “inhaling” our food instead of chewing it, or the complete opposite -- starving ourselves thin. Trade all negative self-talk with uplifting affirmations – instead of, “I never lose weight no matter what I do”, tell yourself, “My healthy body naturally aligns itself with its correct weight”. Address hormonal imbalances – these also have an emotional/subconscious origin, many times being an issue that runs in the family (generational). Recognize where you are being too hard on yourself, and work every day to love who you are right now. By caring for yourself, you will naturally want to eat better because you will honor who you are, and will want to nourish your body (not just feed it). Life is short. And precious. Learn to honor yourself so that your thoughts and feelings reflect this truth. Magical things will happen – you will enjoy healthier foods, desire physical activity, and experience an abundance of energy. The weight will then take care of itself gracefully and effortlessly.